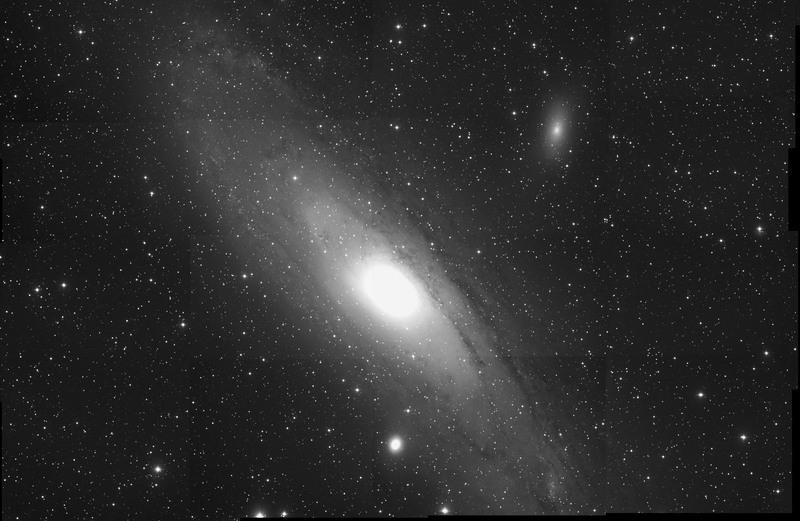 The Andromeda galaxy M31/NGC224 is the nearest galaxy to our own galaxy, the Milky Way. It is part of the local group and has an apparent diameter of about 7 times the full moon. It is the only galaxy visible with naked eye. North West (top right) lies the dwarf elliptical galaxy M110, a satellite from M31.